Custom designs – no templates. Creative; functional; easy to navigate. Affordable for all businesses, large and small. Easy to work with; personal attention. 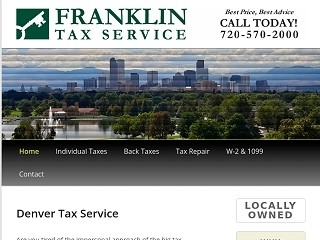 Denver web design and SEO by Inspired Design Web Design. Responsive, mobile-ready websites with All-Inclusive Website Design and SEO pricing. In business for nearly 15 years, Inspired Design Web Design has the right mix of quantitative know-how and qualitative customer care. These days it seems that web design companies focus almost exclusively on the technical aspects of web design and let the importance of the business relationship fall to the side. Hello. My name is Weston Eden. Web design is my full-time occupation. This is not a part-time gig where you will get a website and a few months later you have a website with no help maintaining it. Sadly, web design has become an easy way for some tech-savvy people to make a quick buck at the expense of the business owner. Inspired Design offers All-Inclusive business website design and Search Engine Optimization services. This allows you to do your business full-time and leave all the website functions to me. If you want a high-quality responsive and mobile-ready web design, and also a good business relationship, try Inspired Design for your web design project.